I learned how to do a shell stitch hem in a silk lingerie class. If you’ve never treated yourself to a silk slip or nightie, put it on your to do list. Nothing feels sexier than soft silk on bare skin. But silk either needs some lace on the edge or a pretty hem, When I got home from the class, I decided to try the shell stitch hem on some other things because I needed some practice getting it right, and silk is too expensive to just bugger up. When done as substitute for a straight narrow hem, a shell stitch hem is a pretty finish for chiffon and other sheer fabrics. It’s a little more forgiving than a straight narrow hem, and you don’t need to fight with your narrow hem foot to do it. If you are sewing with nylon tricot, it’s a quick finish with a feminine flair. The real revelation about how much I would love this hem came when I accidentally left my sewing machine set to do this stitch and put a tee shirt sleeve under the needle. It made a beautiful scalloped edge. You can use this stitch to do the hems on a knit shirt, and you can also use it to bind the neckline and armholes. It’s my go to hem for tees and knit peasant tops for little girls because it’s just so pretty. 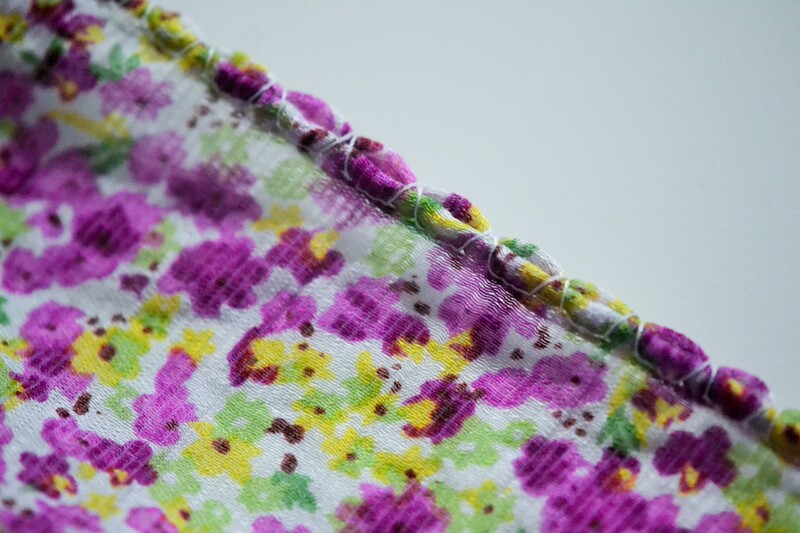 Why would I follow a blog post about the mundane blindstitch hem with one about a little used one? 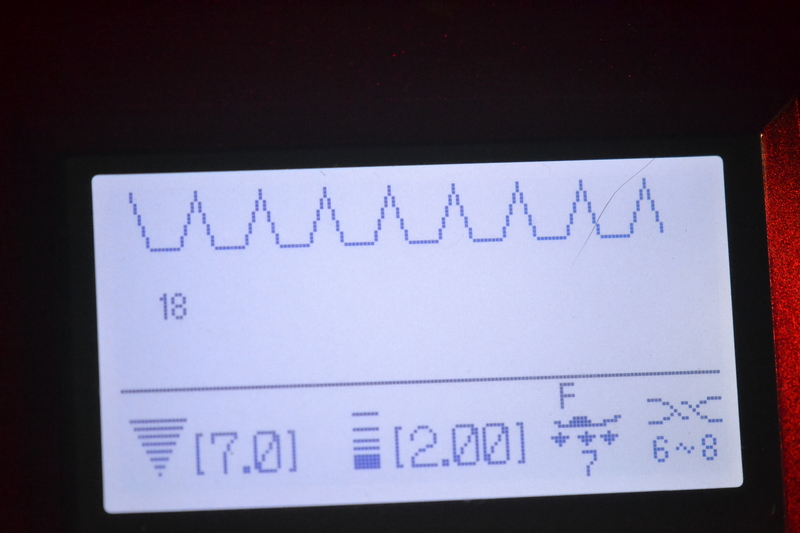 Because it’s the same stitch. When you do a blind hem, the needle swings to the left to make its zigzag, and when you do a shell stitch, it swings to the right. If you have a sewing machine with a gazillion stitches, you probably have both a blindstitch and a shell stitch. 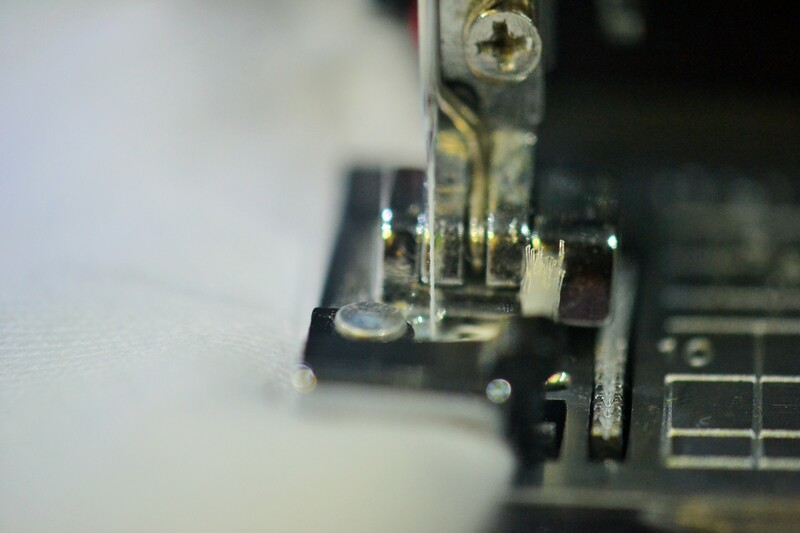 If you have a sewing machine with half a gazillion stitches, you probably have a button that will let you sew the mirror image of any of your stitches so a shell stitch would be your blindstitch mirrored. 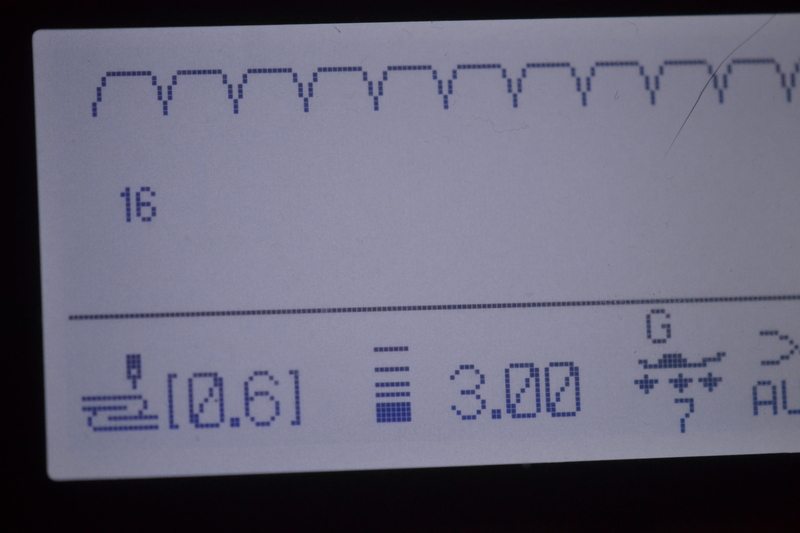 If you have a basic machine, you can still do this, but you need to be a little more creative. Set your machine to do a blindstitch, but feed your fabric through on the right of the needle instead of the usual left. If the bed of your machine is short, it can get a little crowded in there, but you can do it. If you have an over the edge foot, it’s a good one to use unless it’s the kind that tucks a little bit of the edge under as it goes along. If you don’t have that kind, and they’re great feet to have, use your all-purpose foot for this. We’re going to start with doing the shell hem on a tee shirt knit because it’s the easiest one to do. Press up a ¼ to ½ “ hem on the bottom of your tee or on the sleeve. 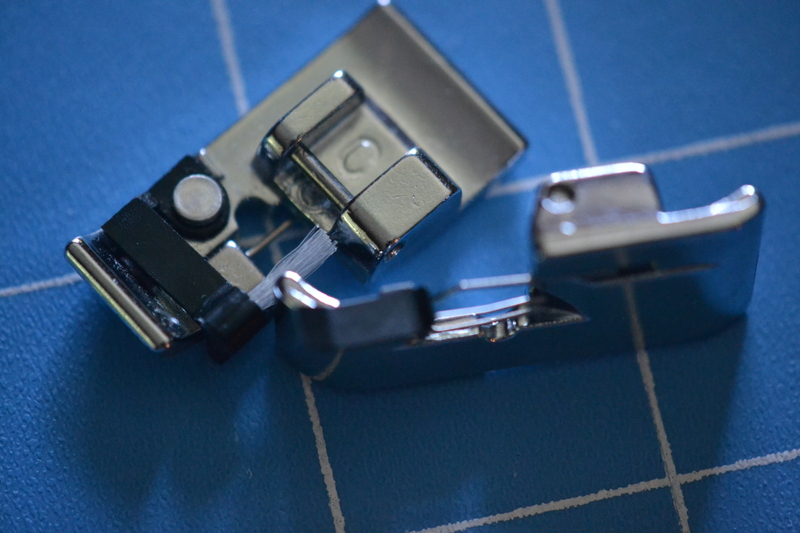 Put your garment under your presser foot with the right side of the garment facing up. You want to set the width of your stitch so when the needle swings to make its zigzag, the stitch goes off the edge of the garment. The thicker your knit is, the wider you want the stitch to be. 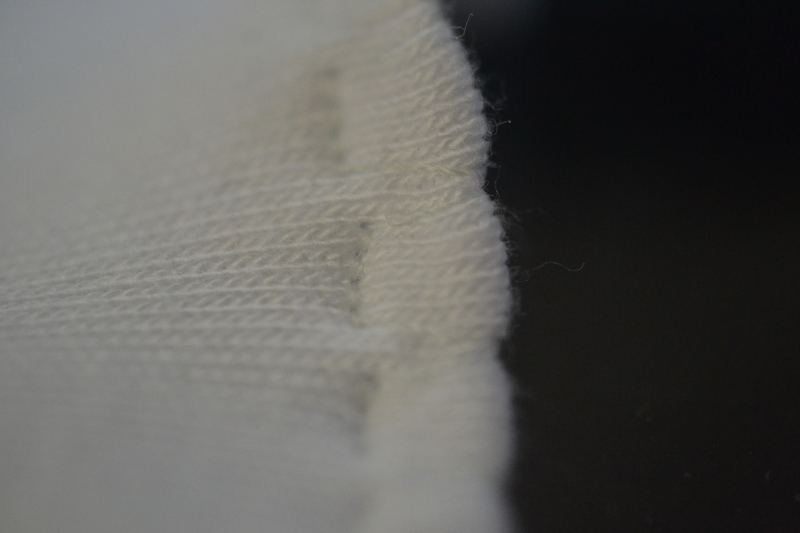 The straight stitches should go through both thicknesses of the fabric. (Because there is a zigzag stitch every few stitches, this is stretchy enough to hem knits, but some sewing sewing machines do have a stretch blindstitch, too, and you can also use that.) Lock your stitches and begin sewing, keeping your row of straight stitches nice and even and letting the zigzag stitch go over the edge of the fabric, not through it. Lock your stitches when you get back to where you started. You should have a hem made of tiny scallops. You can change the size of the scallops by playing with your stitch length and width. Turn your garment inside out and trim off the excess fabric on the hem if you need to. This is a knit so the raw edges won’t fray. To do a shell stitch hem on a delicate fabric like silk or chiffon, the process is essentially the same except you need to do a double fold when you press your hem up, and you want to keep the hem as narrow as you can. Where on the tee shirt you wanted the scallops to be bold, on a silk slip or a chiffon scarf, you want the scallops to be dainty. So choose a short, narrow stitch. 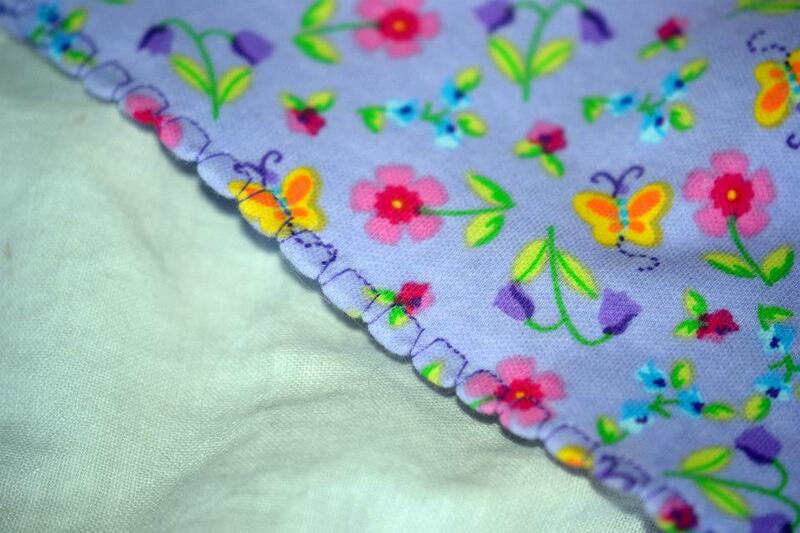 Just wide enough so your straight stitches are near the inside fold and your zigzag goes over the edge of the fabric. 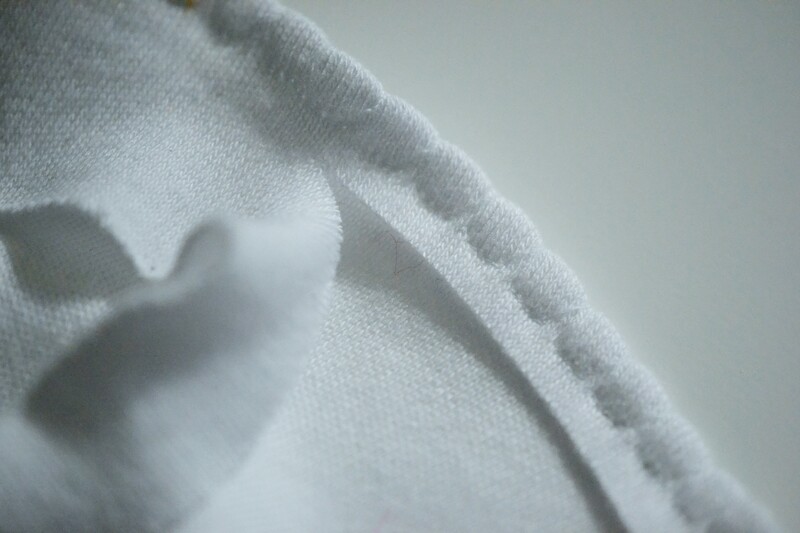 You should be able to get a nice looking shell stitch hem on the tee shirt first time out, but don’t be discouraged if it takes a little practice to do it on silk chiffon. This entry was posted in Hems and tagged hem, shell, shell stitch. Bookmark the permalink. I’ve used this for chiffon, but never thought of using it for t-shirt knit. Thanks for the idea!